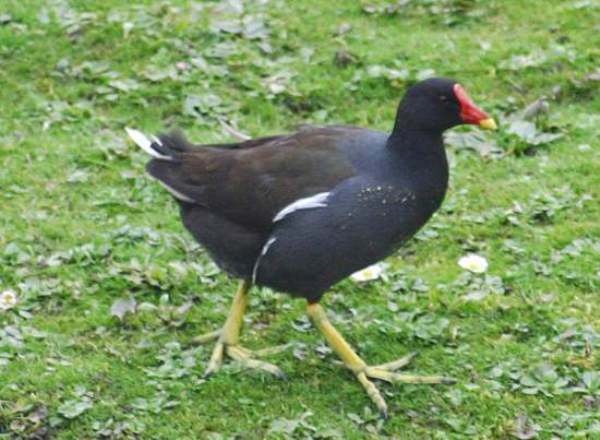 The Moorhen is one of the most common and best known of all the water birds of inland Britain. 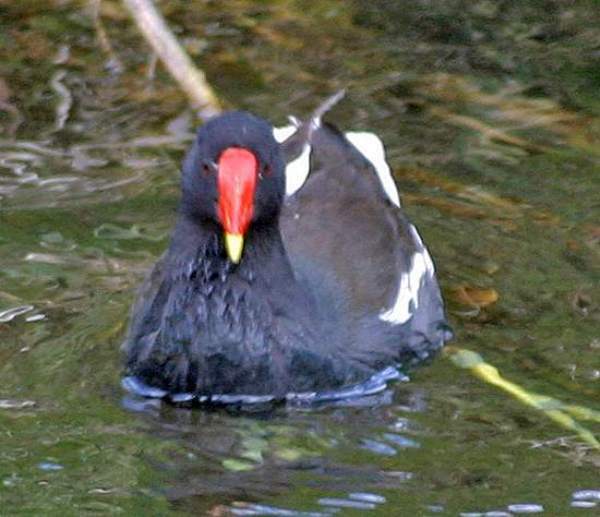 Its distinctive red beak makes it instantly recognisable. 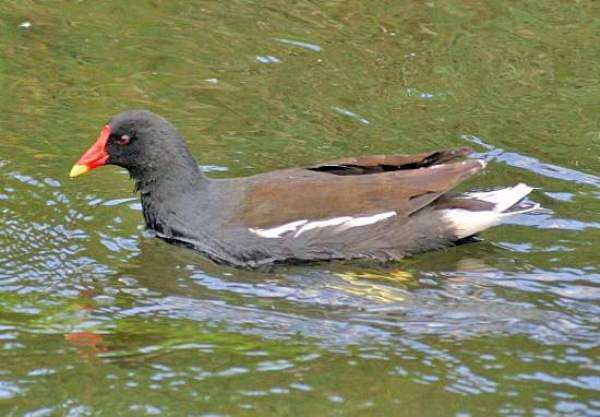 Moorhens are invariably seen close to or swimming on still or relatively slow-flowing water such as ponds and canals. They are shy birds and unless accustomed to seeing lots of people regularly they will quickly dash for cover when approached.